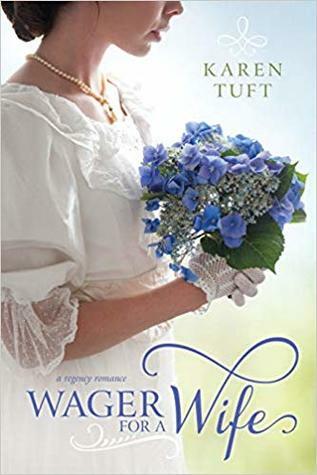 Book Description: William Barlow's life has been forever altered: his estranged father is dead, and William has inherited the title of Viscount Farleigh. Along with the title comes a neglected estate, an enormous amount of gambling debt, and one astounding acquisition that will turn William's world upside down . . .
My thoughts: Some wagers are worth the risk. William Barlow life has been devastated by his father's gambling. He was raised to understand the risk and how to successfully wager. In order to save his friends and family, he takes the biggest gamble by demanding that the Hargreaves family honor a wager made years ago. He asks them to them to give them their daughter in marriage. I loved the characters in this book. (The ones living.) The family camaraderie with the Hargreaves was delightful. William was not raised that way and it was good for him to see what a loving family acts like. William is an honorable man, even though his circumstances require him to act a little less honorable. He does so with the best of intentions. Louisa is a strong young woman. She was raised with affection and shown by example how to behave in less than ideal circumstances. She is intelligent and compassionate. She longs for a marriage of affection. This book doesn't move quickly. It is about two strangers learning and growing. They are both looking for common ground and understanding of each other before they are wed. I loved the humor and the emotions that came to play in this book. It is about overcoming past demons and disappointments to find happiness. It is clean with kissing. 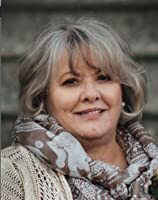 About the Author: (Taken from Goodreads) Karen Tuft was born with a healthy dose of curiosity about pretty much everything, so as a child she taught herself to read and play the piano. She studied composition at BYU and graduated from the University of Utah in music theory, where she was a member of Phi Kappa Phi and Pi Kappa Lambda honor societies.